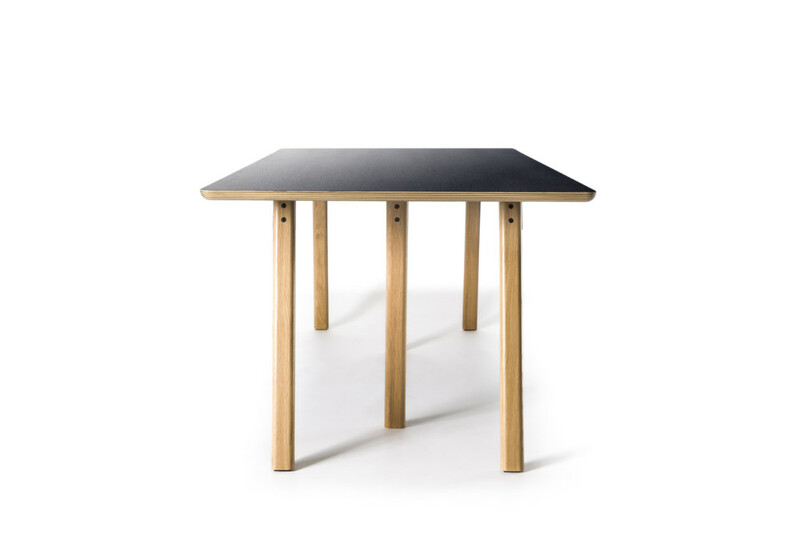 Materials Powder coated stainless steel frame with American oak legs and plywood top with American oak faces and internal metal frame, 2 pack waterbased finish. 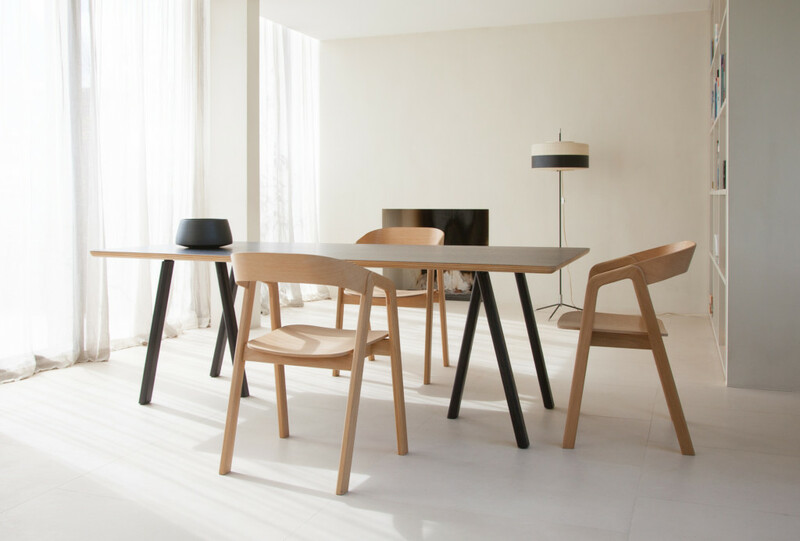 top: natural or black american oak veneer top. 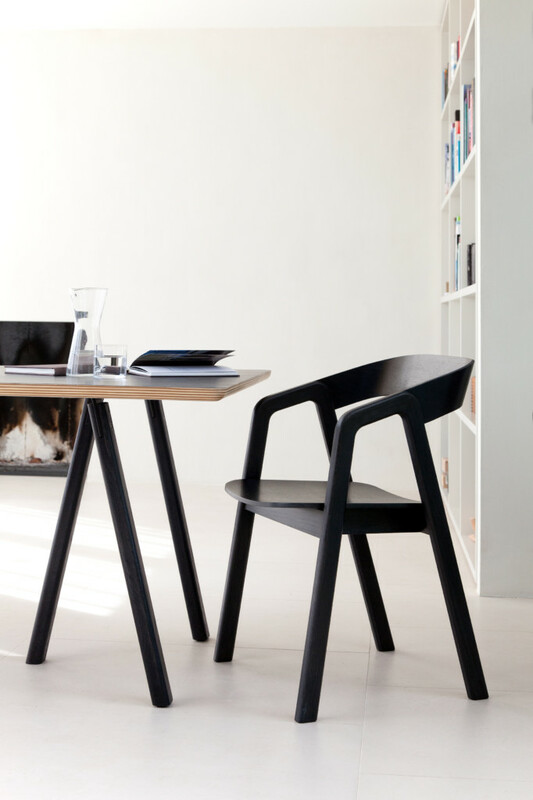 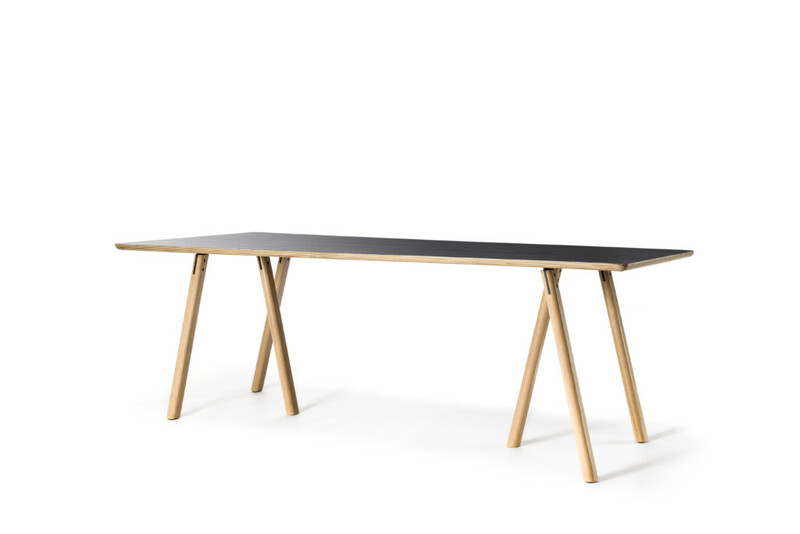 The Trestle table by Danish designer Allan Noddebo has a black powder coated steel frame, American oak legs and a laminated American oak veneer top. 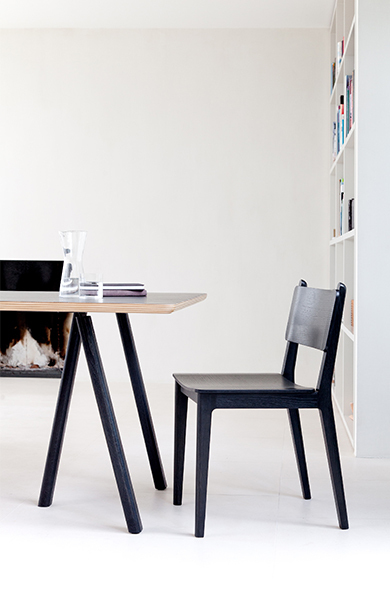 The trestle table comes with a natural or black top.